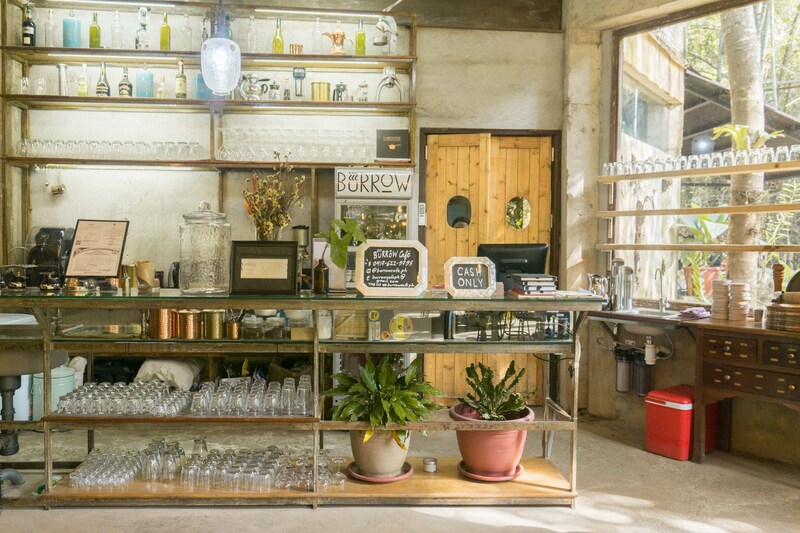 When we arrived on the terrain of the Beverly Hills Subdivision in Antipolo where Burrow Café’s address is pinned on, no restaurant was in sight. Instead, a scenic view of the Sierra Madre mountain range and a steep flight of stairs greeted us. 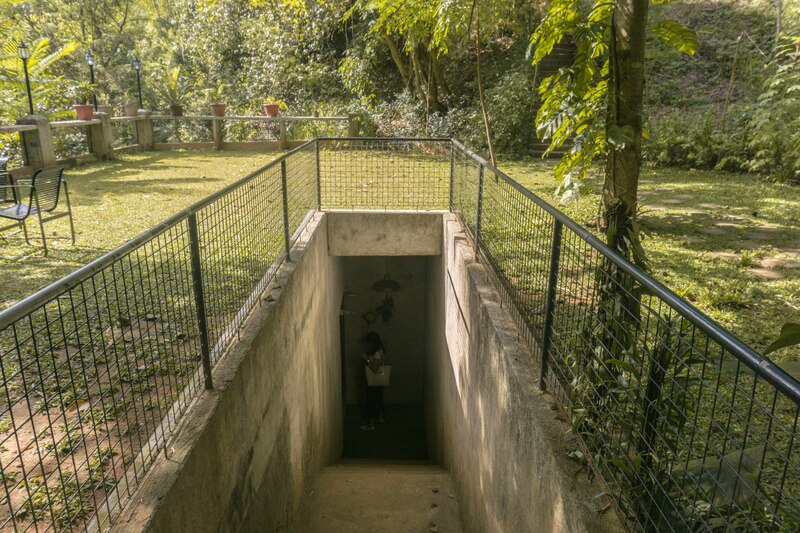 There were no clock-carrying rabbits, grinning cats, or mad hatters inside; just rustic interiors with surrounding large glass window panels that overlook a forest and the Tungtong River, which runs quietly towards the edge of the mountain range. 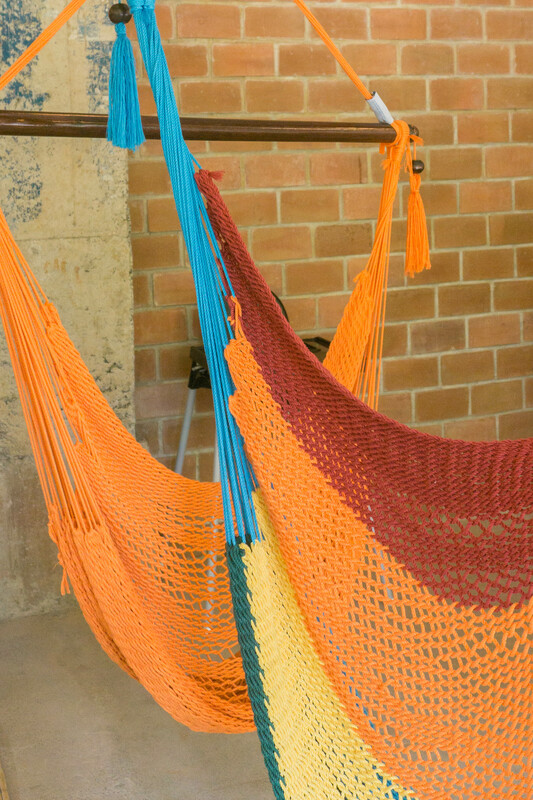 Serving as the waiting area for diners (the 50-seater restaurant can get cramped on weekends) is a hammock lounge. It’s accompanied by an array of paintings up for sale. 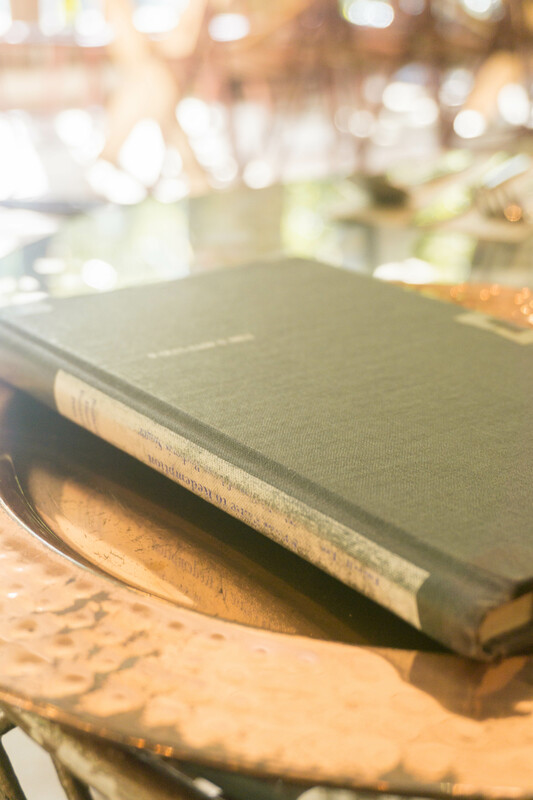 The moment we sat down, a waiter handed over a hardbound copy of author Isaac Bashevis Singer’s From Exile to Redemption which, to my surprise, holds the menu. Every three months, Guiterrez and chef Danilo Puga conceptualizes new dishes, sometimes based on in-season local produce. “We initially intended to serve all our dishes in rice bowls,” says chef Puga. 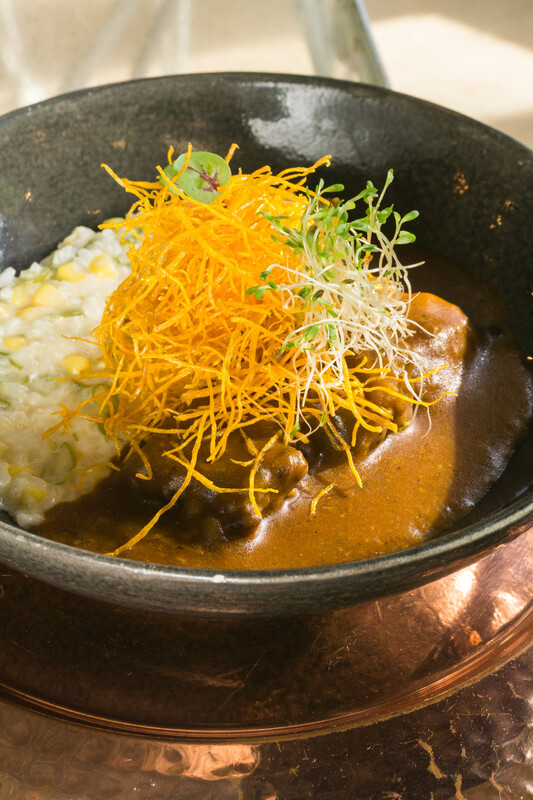 This is why as the menu evolves, the owners incorporate one or two rice bowl dishes, like this slow-braised fork short ribs dish with creamy risotto. 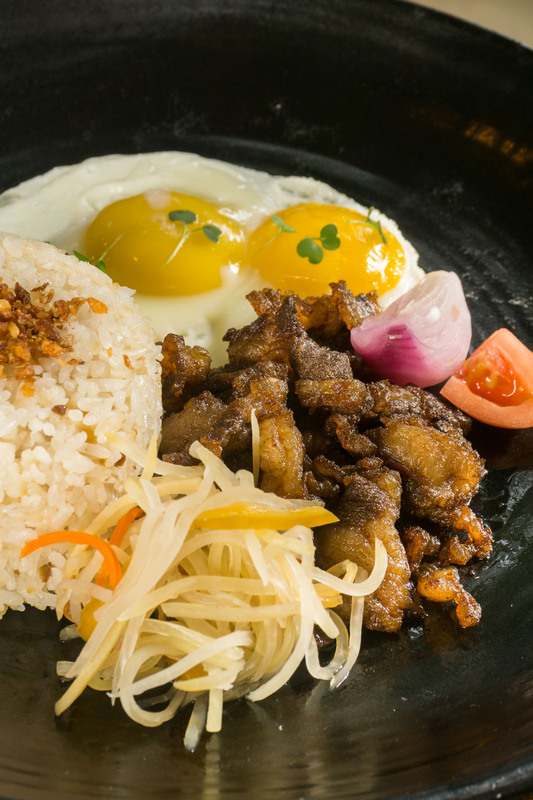 They also have a tender beef tapa with yakiniku-cut Japanese beef that, when paired with garlic rice and atchara, melts in your mouth with an unnoticeable balance of a sweet and salty taste. 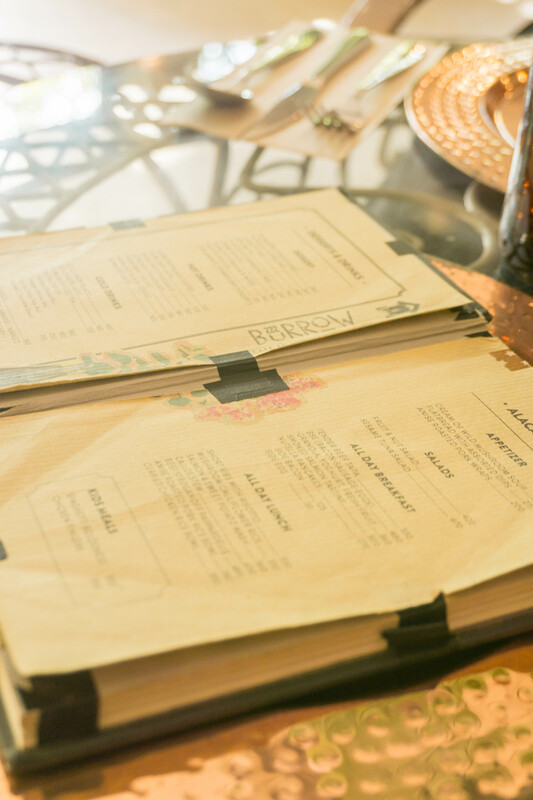 Burrow Café continues to evolve along with its menu. 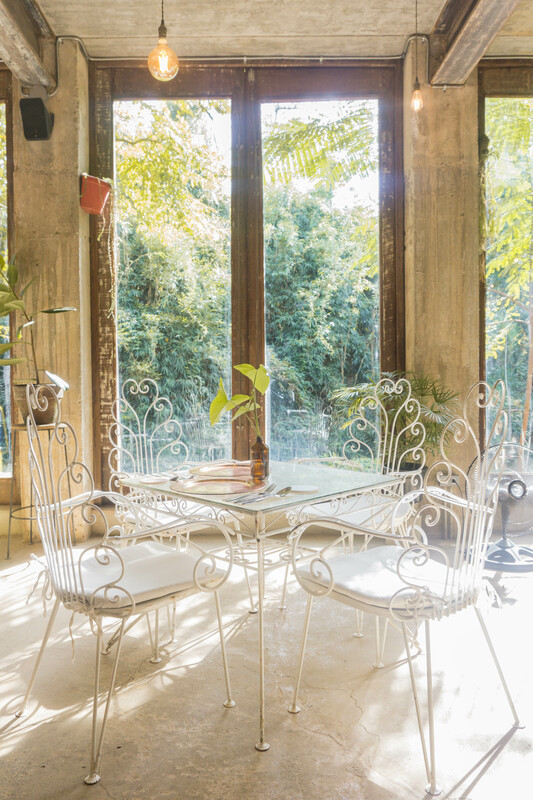 The 60-seater restaurant, which opened in July 2018, recently started holding events like weddings, workshops, and art fairs. It’s slowly doubling as a multi-brand collective shop selling works by local artists and artisans like paintings, bath soaps, and reusable straws. Soon it will be building its own Antipolo farm to produce the restaurant’s ingredients. “It’s not conventional but it’s working,” Gutierrez says. Like wonderland with its limitless offerings and picturesque surroundings, Burrow Café is the place to be if you want a quick escape from the chaotic city life in Metro Manila. 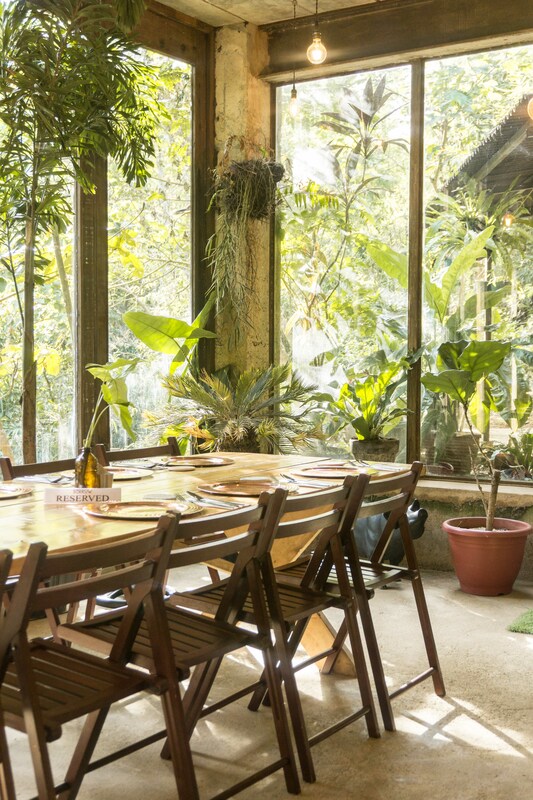 With Burrow Café's large windows, diners are given a scenic view of the forest and the Tungtong River running beneath the restaurant.